I like shrimp very much from my childhood in fried forms. I hope most of you also like it as I do. 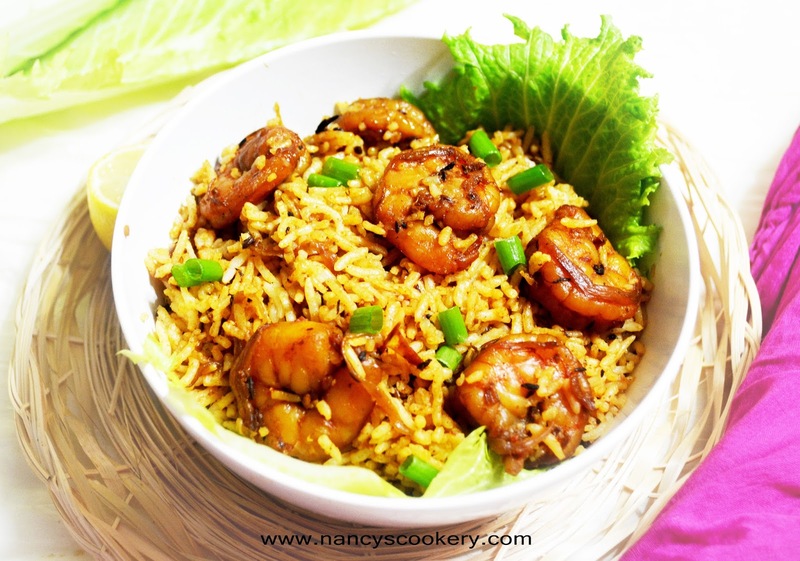 I tried this shrimp rice recipe a few months ago and it became one of our favorite rice varieties. Even Though shrimp/prawn had it's fame for bad cholesterol, it has some good useful health benefits. The pink color of shrimp is gained from the carotenoid it has, which keeps us from premature aging. 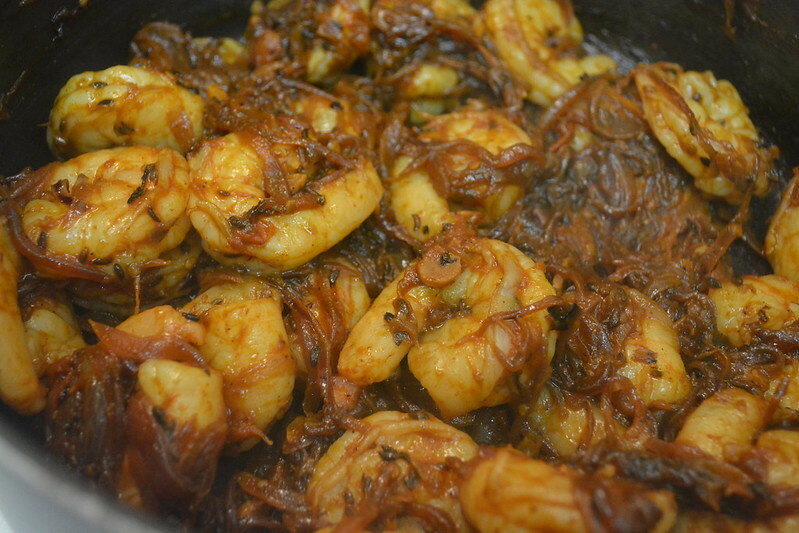 Shrimp is very good source of anti-oxidants and omega-3 fatty acids. The antioxidants found in shrimp helps to maintain oil secreting glands on the hair, prevents hair loss and intensify the hair color. It contains selenium, which helps to reduce the risk of various types of cancer. 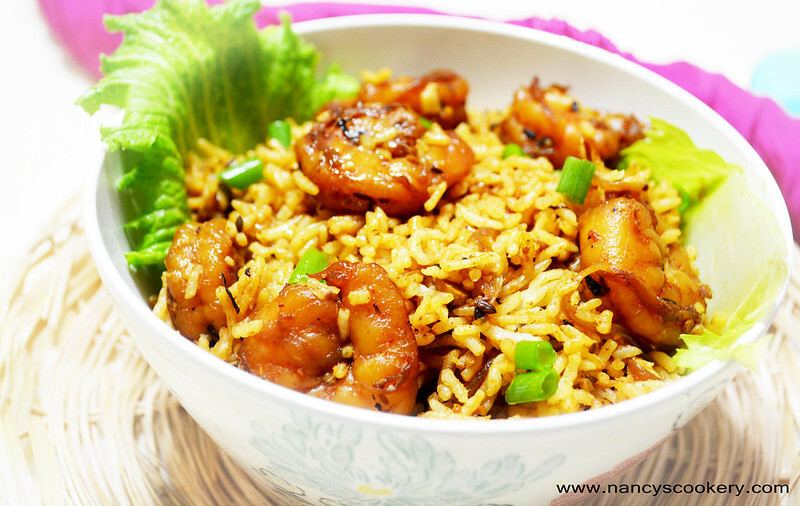 We have seen so many benefits from shrimp which aids in our beauty, so you might have thoughts running to use more shrimp but be careful of it's cholesterol and have it just for taste. 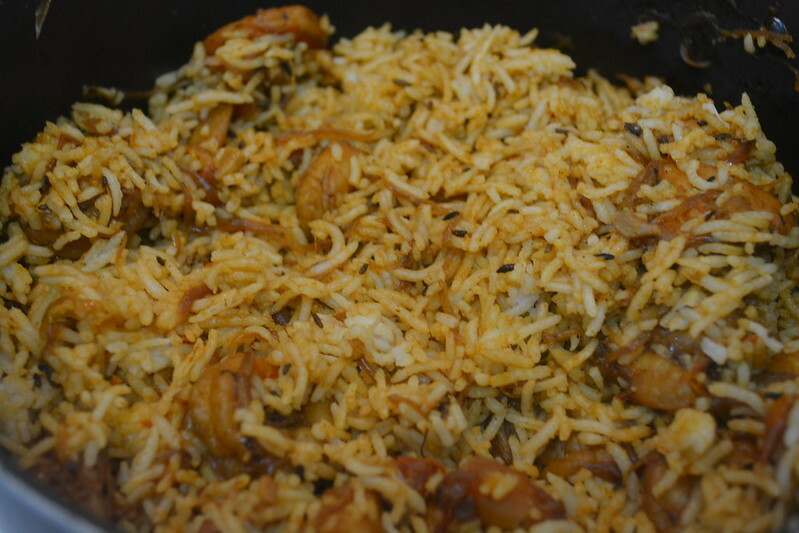 Now enjoy your shrimp rice..
Fennel seeds - 1 tbsp. 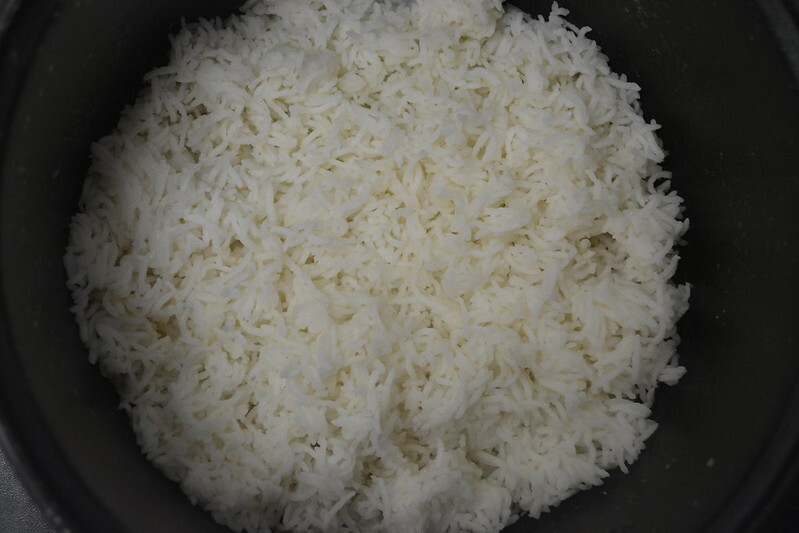 Cook the rice and allow it to cool. 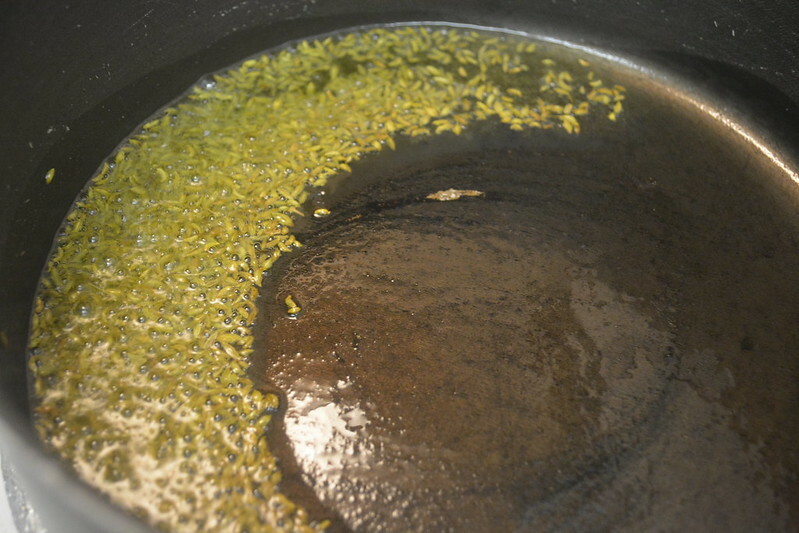 Heat oil in a pan and fennel seeds in medium flame. 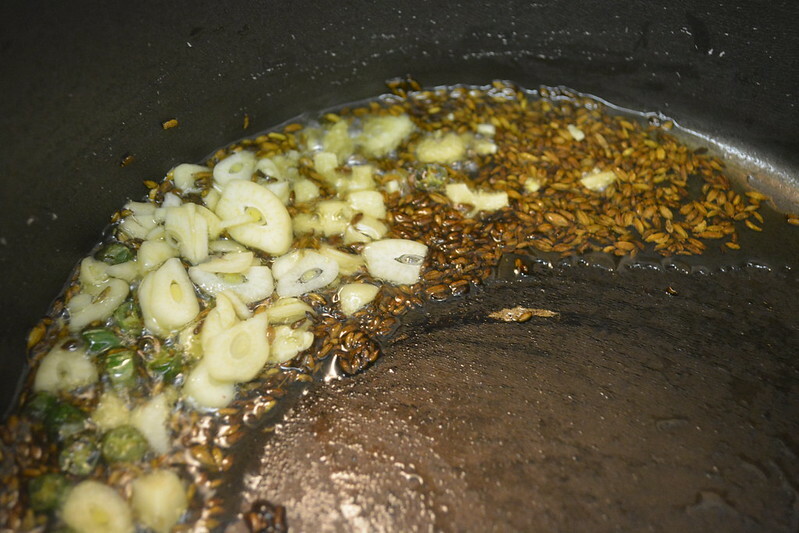 When the fennel seeds sends aroma, add chopped green chilly and then add garlic to it. 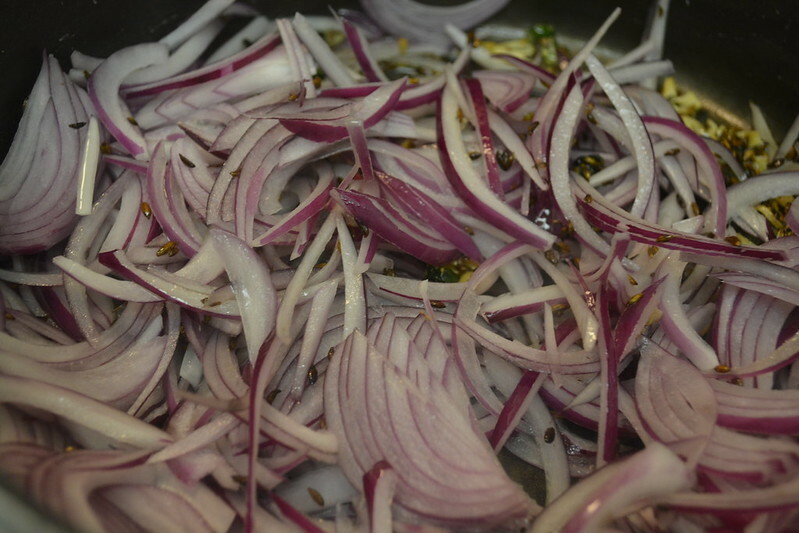 Saute the above for about a minute or 2 and then add onion. Brown the onions but don't burn it. 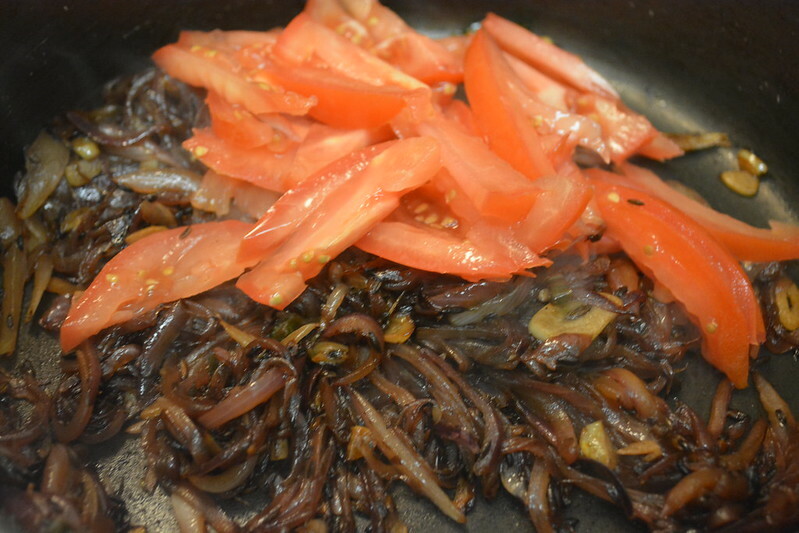 (Do it in alternate high and medium flames) and then add tomato. 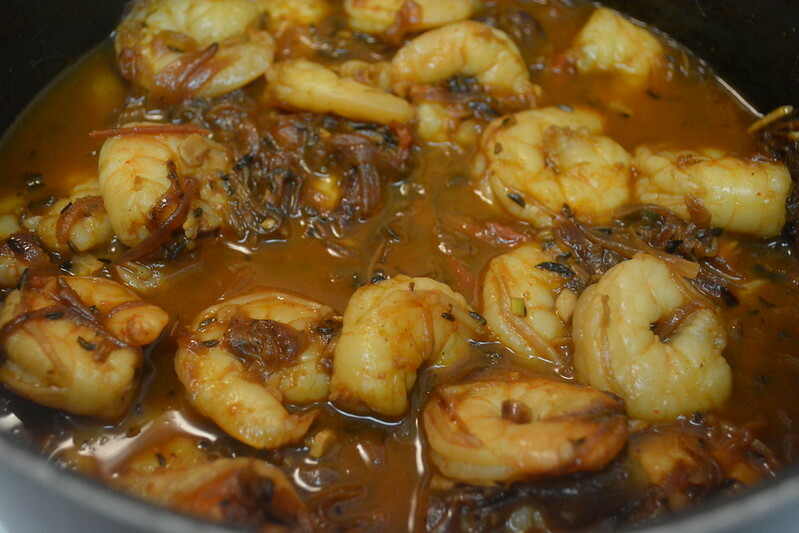 Saute it till the tomato is smashed and then add cleaned shrimp/prawn. 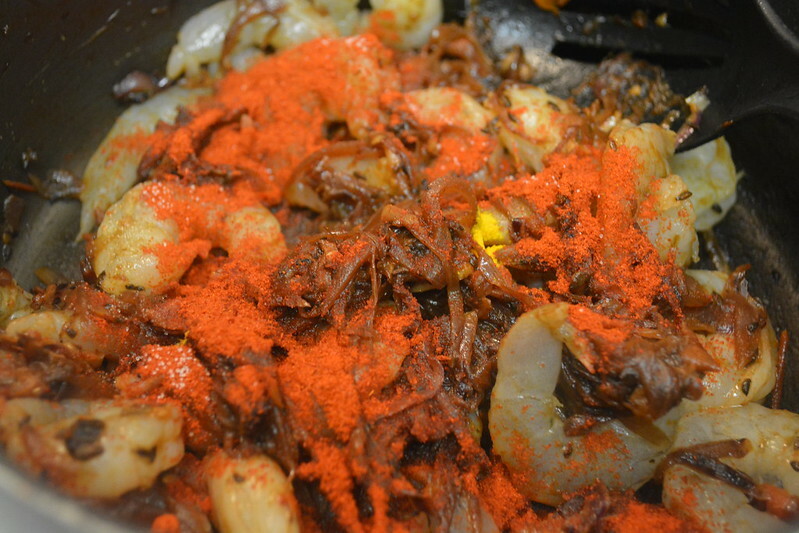 Add salt, chilly powder and turmeric powder to it. 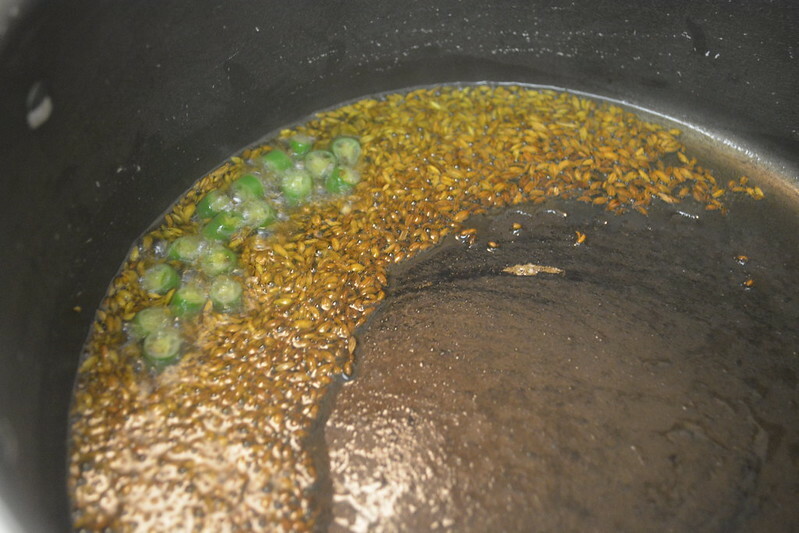 Mix them all well and saute for 2 minutes. 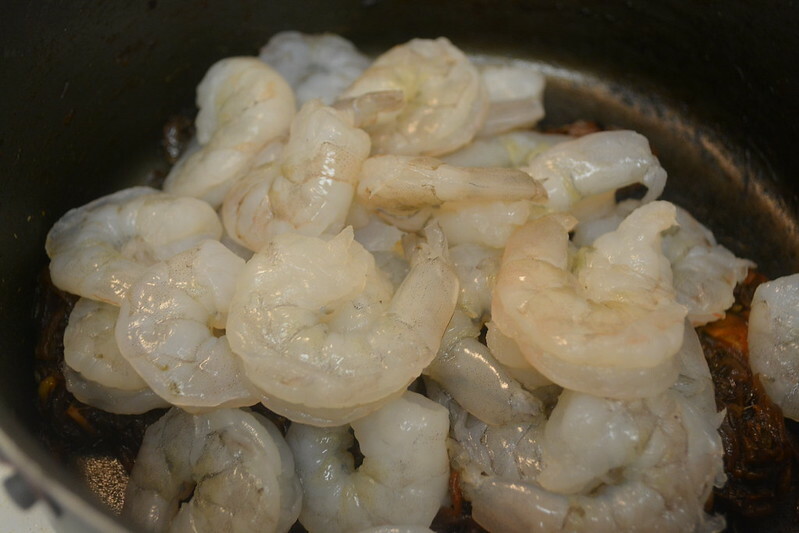 Then add little (enough) water to cook the shrimp/prawn. 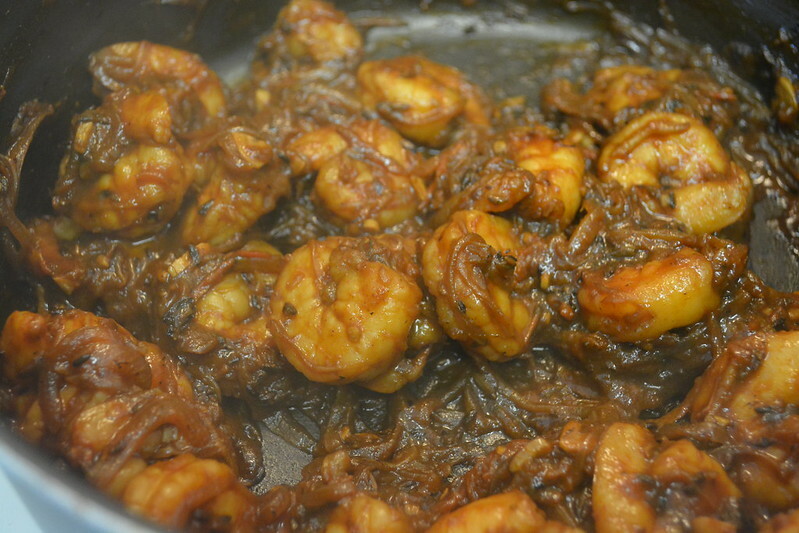 Cook the prawn as you desire and until all the water is dried. Now add the lemon juice to it and mix well. 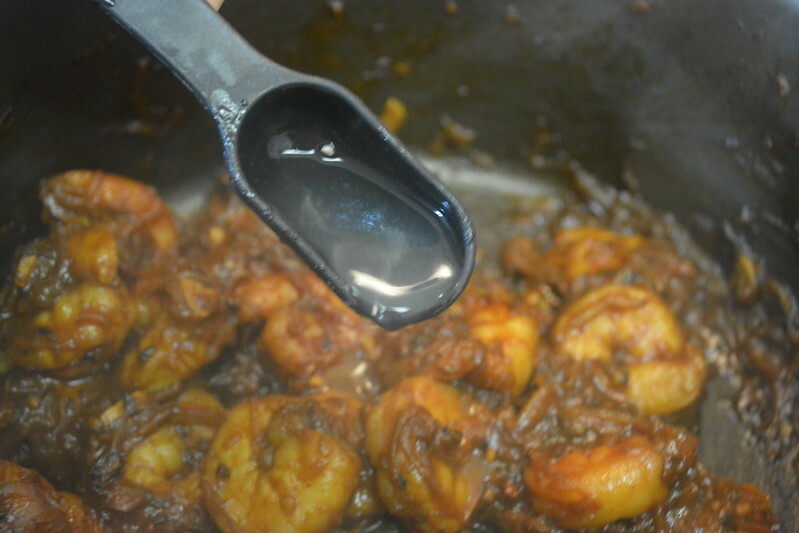 Then add the cooked rice and stir everything until the rice is combined with the gravy and cook for 2 minutes in medium to low flame with constant stirring. The switch off the heat. 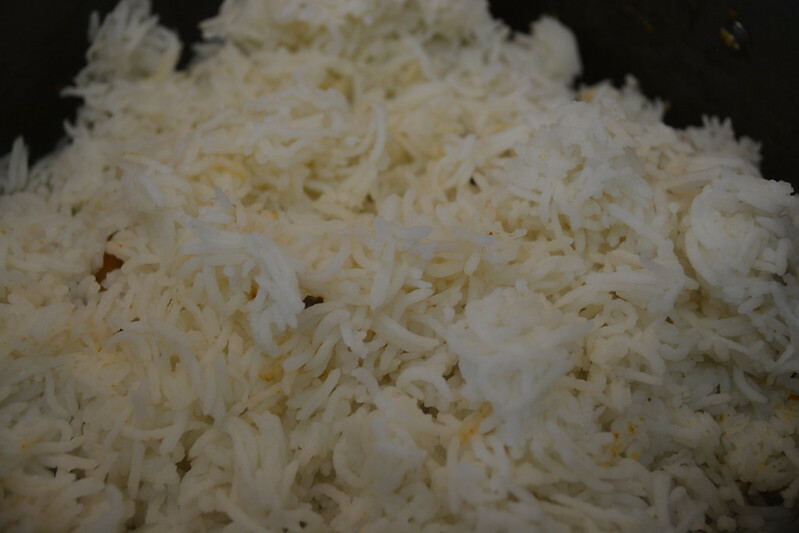 Ghee is totally optional and the rice tastes better without ghee and still if you wish to add ghee you can.